A Podcast about Doctor Who and Other Things, featuring Tom Dickinson and Louis Mitas. TCR 007: I Hope It's Cool! This week on The Cloister Room, Tom talks about reboots. No, not ReBoot. Franchise continuity reboots. Of the kind that, back in January, Jane Tranter was considering engaging in for the purpose of bringing Doctor Who to the US. Tom explains his reaction and, well... it's not fanboyish bile. Plus two new, presumably regular segments: Tom Says Some Stuff About Lost: Tom unravels the mysteries of the new narrative device introduced this season of Lost. The Haiku Review: Tom offers his poetically pithy reviews of three currently-running TV programs. All this and more*, on this week's episode of The Cloister Room. Please follow me on Twitter! You can get updates about this show at @TheCloisterRoom, and you can follow my daily musings on all sorts of banal things at @tdickinson. *NOTE: And by "more" I mean the Dune Quote of the Week. That's more, right? Tom announces the advent of weekly episodes, and shares his thoughts on the Gallifrey One Convention. By singing. It's back! The Cloister Room bursts back onto the scene for Christmas eve in an episode that has... nothing to do with Christmas at all. Ah well. This week, I take a look at the state of genre television on major networks in the United States, looking at the problems posed by shows like Dollhouse and what the American industry can learn from the UK, and, of course, Doctor Who in particular. Feedback is welcome, and one particular question of interest: if an American actor had to play the Doctor, who would you want it to be? Some thoughts are in the episode, but I'd love to hear your opinion on this and other issues in the comments! The Cloister Room returns! No, it has not been canceled before its time, but this is an episode about television shows that were canceled before their time. The question at stake: Is it worth setting yourself up for disappointment by investing in a show that's already been canceled, or looks like it will be? The answer: Well, you'll just have to listen to find out! Also, the Dune quote of the week. Which is a bit of a misnomer, coming from a podcast that makes no claim to a weekly schedule. You can hear Tom as a guest panelist on episode 7 of Bridging the Rift (as soon as it's released anyway, I'll put a link to the episode here once it's out). And you can also hear Tom, singing! Tom has sort of started a Trock project called Blinovitch, and he sings a song about The Valeyard over at videobloggery. It's called "The Ultimate Foe". TCR 003: Man, O Mandalorian! Ha! After a brief dry spell, you thought this rookie podcast didn't have the staying power to last more than two episodes. But you were wrong, buster. Last time on the Cloister Room, Tom promised a discussion of Star Wars. This week, he deviates from his plans but still fulfills the promise by talking about canonical issues in Star Wars. Also included is a defense of canon in Doctor Who. All this and also the Dune Quote of the Week in the third exciting episode of this rookie podcast. Have a podcast? 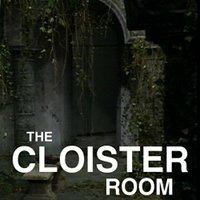 Want to run a promo for The Cloister Room? Well, please do! TCR 002: O Captain! My Captain! This week on The Cloister Room, Tom takes a look at Captain Jack Harkness: the background of the character, the major events that have shaken him in Children of Earth, and his thoughts on the character's direction for the future. But that's only one of the four acts in this episode. Tom also discusses the recently unveiled trailers for the upcoming specials and Russell T Davies' attitude on religion in Torchwood: Children of Earth. It's far and away the most jam-packed episode yet, which, Tom admits, is really not saying much, as it's only the second one!